A Capacitance Multiplier is designed to make a small capacitor function like a capacitor that is much, much larger. 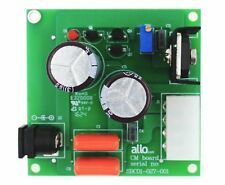 Designed to make a small capacitor function like a capacitor that is much, much larger. Pop this waterproof cover over your mattress just like a fitted sheet for effective and discreet protection all year round. 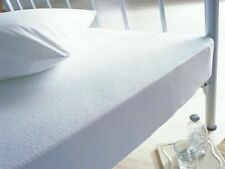 The top of the mattress protector is made in luxuriously soft 100% cotton that feels fantastic against the skin. The bed pad has a stay-dry pink top surface, blue barrier bottom surface and represents excellent value for money. Reusable Bed Pad. Wash up to 95˚C, Tumble dry on low heat. Size : 75 x 90 cms, 29½"x 35½". Sunbeam Comfy Toes Heated Foot Warming Mattress Pad Queen/ King Size - NEW . Condition is New with tags. Shipped with USPS Priority Mail. Queen Mattress Bags for Moving - Plastic Storage Cover Supplies. If you are moving and needs bubble wrap you must also get our queen mattress bag. Queen Mattress Bag Cover for Moving or Storage - 5 Mil Heavy Duty Thick Plastic Wrap Protector Reusable Bags Supplies. Quilted for extra comfort. Highly absorbent - 3.5 litres. Washable Bed Protector/Pad with Tucks - Pack of 2 , Size 85x90cms, 33½" x 35½"
Two Washable Bed Protector/Pads with Tucks. These premium quality washable bed protectors are warm, soft, comfortable and highly absorbent to keep the sleeper dry, they reduce bedding changes and help prevent soreness and infection. These premium quality washable bed protectors are warm, soft, comfortable and highly absorbent to keep the sleeper dry, they reduce bedding changes and help prevent soreness and infection. The bed pads are quilted with highly absorbent fibres for faster dispersal of liquid to aid comfort and drying. Designed to be used under normal bedding, you can keep the mattress protector clean by wiping over it with warm water and detergent for easy maintenance. Waterproof fitted sheet. Wipe clean with warm water and detergent.